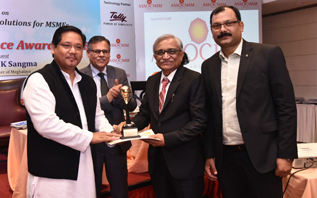 Recipient of TSSIA-COSIA Business Excellence Award 2018. Award was presented by Mr. Sanjay Kelkar, MLA of Thane Constituency. Recipient of "Golden Maharashtra Enterprise of the Year Award” at the Maharashtra Manufacturing Summit 2015 held in Mumbai. Award was presented by Shri. Subhash Desai, Minister of Industries, Government of Maharashtra, India. 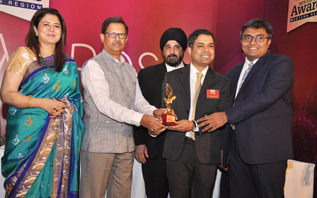 Recipient of "India's Small Giants - Leading Enterprises of India 2013" Award by India SME Forum in association with NDTV. 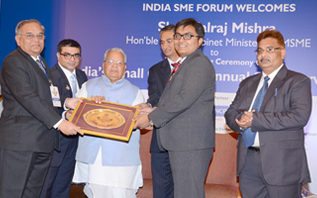 Award was given by Union Cabinet Minister of MSME - Shri Kalraj Mishra. 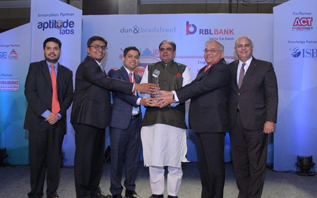 Recipient of 2016 Dynamic Entrepreneur Award, presented by Vivek Group and President of Maharashtra Chamber of Commerce, Industry & Agriculture (MACCIA). 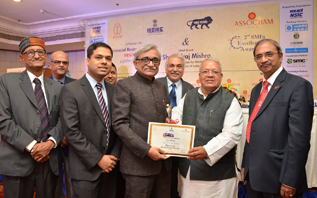 Recipient of ASSOCHAM SME of the Year 2014 Award. Award was presented by Shri. Kalraj Mishtra, Indian Union Cabinet Minister, MSME, Government of India. 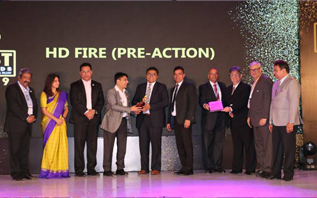 Mr. Harish Dharamshi, Company’s CMD received “Life-Time Achievement Award” from IFE for his invaluable contribution to Fire-industry for over 35 years. 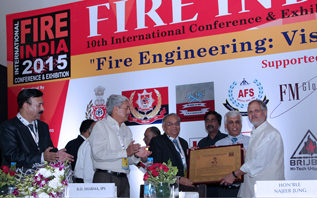 Award was presented by Mr. Najeeb Jung, Honourable Lieutenant Governor of Delhi. 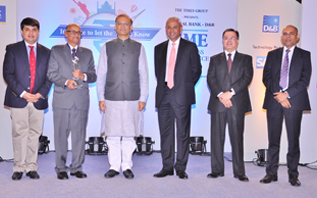 Recipient of Emerging SME of the year award from CNBC at 10th Emerging India Awards Program. 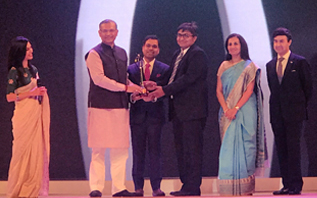 Award was presented to us by Mr. Jayant Sinha, Minister of State Aviation, and Ms. Shereen Bhan, Managing Editor of CNBC. 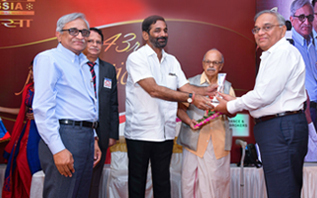 Mr. Miheer Ghotikar, Company’s Director received Thane Nava-Ratna Award 2015. 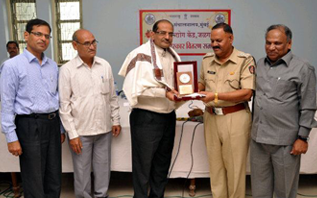 Award was given by Shri. Rajan Vichare, Member of Parliament (India). 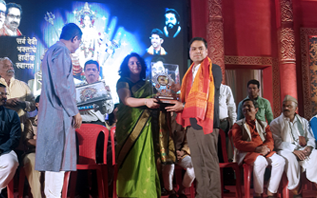 It was presented by Dr. Ashwini Joshi (Collector of Thane District). 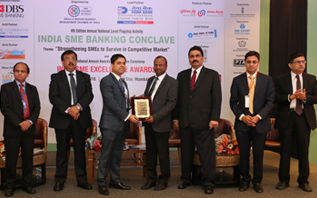 Recipient of "SME Business Excellence Award 2014" in Engineering & Machinery Segment. Award was given by Shri. Jayant Sinha, Honourable Minister of State-Finance, Government of India. 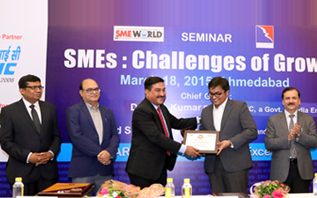 Recipient of “INDIA SME TOP 100 (2013)” Award by India SME Forum & Bank of India. 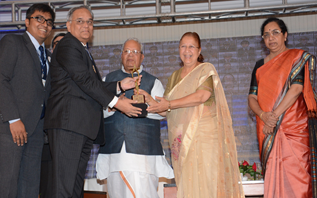 Award was given by Honourable Speaker of Lok Sabha Ms. Sumitra Mahajan and Honourable Union Minister of MSME, India - Shri Kalraj Mishra. 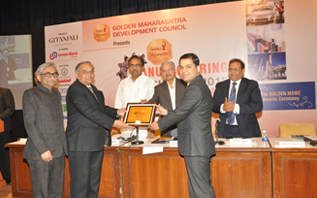 Recipient of 2011 Best Industry in District Award by DIC, Goverment of Maharashtra. 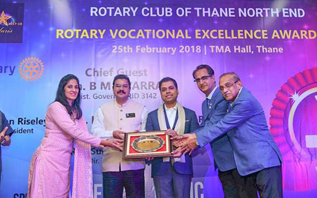 Mr. Miheer Ghotikar, Company’s Director received Rotary Vocational Excellence Award 2018. 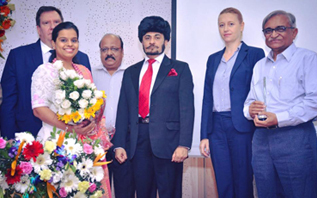 Recipient of EEPC “Exports Star Performer Award 2016”. 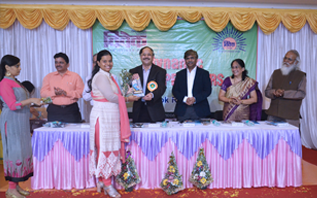 Award was presented by Mr. R. A. Rajeev, Principal Secretary - Finance Department, Government of Maharashtra in event organized by EEPC India. 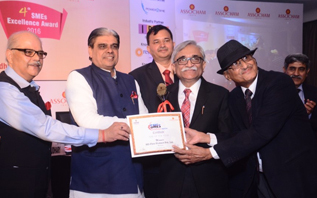 Recipient of "SME of the Year 2016" award by ASSOCHAM. Award was given by Shri. Haribhai Chaudhary, Honourable Minister of State-MSME, Government of India. Recipient of "Business Excellence Award 2016" in Engineering & Machinery Sector, Mid-Corporate Segment. Award was given by Shri. Haribhai Chaudhary, Honourable Minister of State-MSME, Government of India.